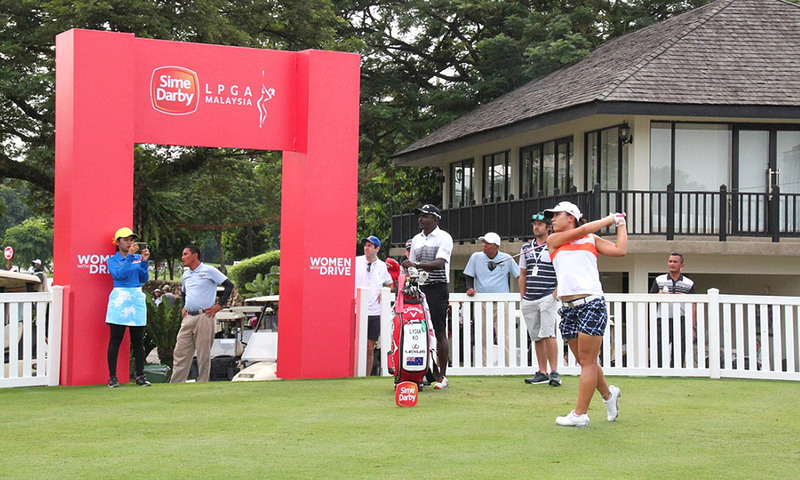 A wet afternoon failed to dampen the spirits of 78 female golfers who were vying for the top spot at the finals of the Sime Darby Ladies Professional Golf Association (SDLPGA) tournament on 30 October, 2016. Held at the Tournament Players Club (TPC) Kuala Lumpur, China’s Feng Shan Shan reigned as victor of the tournament with an impressive score card of only one flaw on the 11th hole, despite a heavy downpour that delayed the tournament for a few hours. Suzzan Pettersen of Norwegia came in second with six birdies and only one bogey while Korea’s Amy Yang followed behind with four birdies and two bogeys. 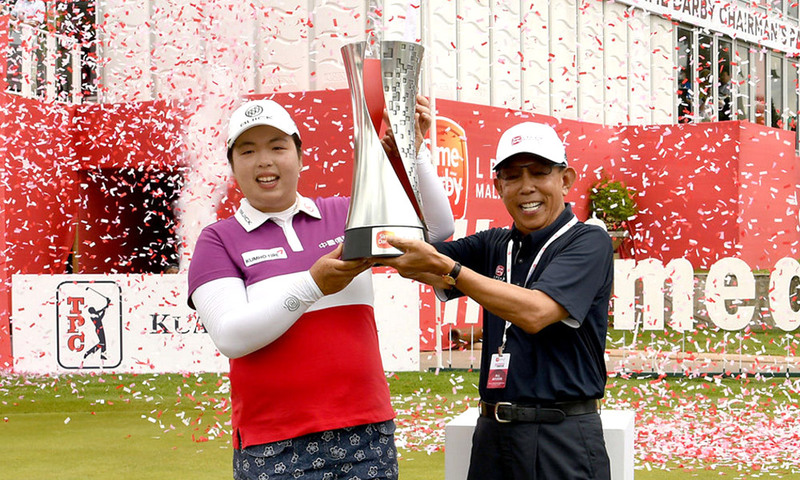 The tournament lasted from 27 October 2016 to 30 October 2016 and despite inclement weather, saw families flock to TPC Kuala Lumpur to spend their weekend watching some of the greatest professional ladies golfers compete. Malaysia’s Kelly Tan tied 58th place with Japan’s Ayako Uehara, United States’ Katie Burnett and Australia’s Sarah Jane Smith. The SDLPGA not only brought the local golfing community together but it also provided a platform for amateur golfers to experience the tournament, in preparation for future competitions. Two of our very own girls from the Sime Darby Development Programme, Natasha Oon and Winnie Ng were able to compete in the tournament under the junior category and came in 74th and 77th respectively. Her Majesty the Queen, Tuanku Hajjah Haminah Hamidun also graced the Pro-Am tournament on 26 October 2016. 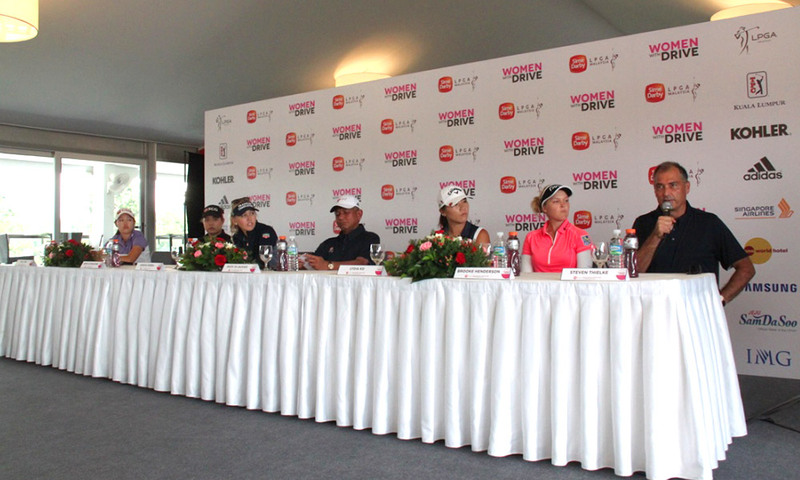 Her Majesty was joined by Thailand’s professional golfer Ariya Jutanugarn as they played together for the tournament. Having raised up to RM2.5 million in the past six years, Cancer Research Malaysia was once again the tournament’s partner this year. They were able to raise up to a total of RM55,000 from the tournament this year which were collected from donations, games, merchandise and the Women’s Forum Brunch.